So yesterday morning, with the threat of a historic, “life threatening” blizzard looming, our town shut down. Seriously. The University cancelled classes and sent us all home. Neil and I made a beeline for the grocery store and stocked up on beer and snacks, and we’ve been camped out ever since. Well, with the exception of a little fun. Clive does not like the snow from Kohler Created on Vimeo. Taking Felix out in the 12 inch snow from Kohler Created on Vimeo. I also did some baking. 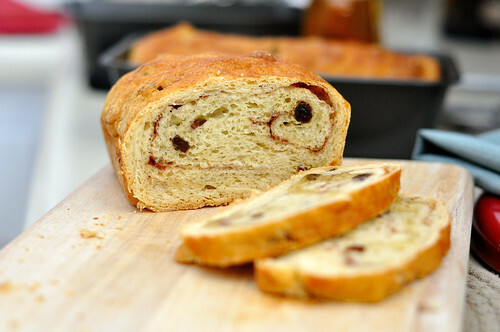 I whipped together a batch of No-Knead Cinnamon Raisin Swirl Bread. Well, “whipped” might be an overstatement seeing as I let this dough rise for nearly 30 hours before baking. It was worth it though. Martha Stewart’s recipe was good, but this is way better. Way. Better. 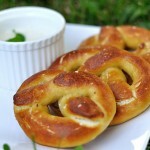 The dough has the consistency of cinnamon rolls, and is much softer and sweeter in the center with a crisp sugary crust. First Rise: In a large bowl, stir together 3 cups of flour with the sugar, salt and yeast. Slowly stir the water into the bowl, scraping down sides and mixing just until the ingredients are thoroughly blended. If too dry, add just enough water to blend. 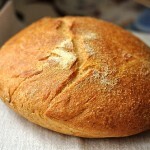 If too wet, add just enough flour to produce a soft dough. Brush the top with butter or spray with vegetable oil and cover. For best flavor, refrigerate for 3-10 hours. Then, let ruse at cool room temperature for 16 to 18 hours, stirring vigorously with an oiled rubber spatula halfway through the rise. Second Rise: In a medium bowl, stir together the butter, milk powder and 2 tablespoons of the beaten egg until blended (keep the rest for later). 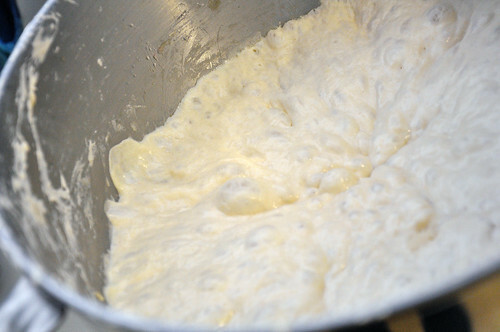 Vigorously mix the butter mixture into the dough until blended smoothly and evenly. 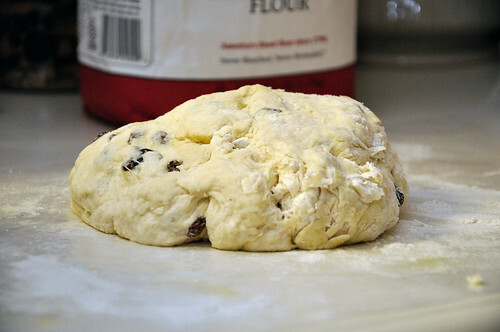 Add raisins and gradually mix in 2/3 cup or enough flour to create a hard-to-stir dough. Coat a rubber spatula with spray oil and carefully fold the dough in towards the center, working all the way around the bowl. Turn dough out onto floured counter or oiled parchment. Dust with more flour if needed and press or roll into a 9×14-inch evenly thick rectangle. Brush some of the beaten egg evenly over the dough to within 1/8 inch of the edge all the way around (reserve the remaining egg for garnishing the loaf). Sprinkle all but 2 tablespoons of the cinnamon-sugar mixture evenly over the dough to within 1/4 inch of the edge all around. Reserve the remainder for the garnish. Brush with remaining melted butter and brush to blend with egg and cinnamon. 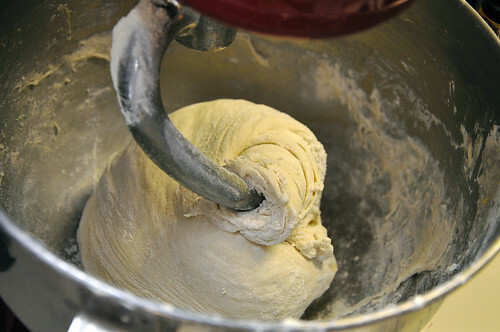 Tightly roll dough to form a pinwheel log. Pinch the seem together tightly along the length of the log, then lay seam-side down. Firmly tuck the ends of the log underneath. 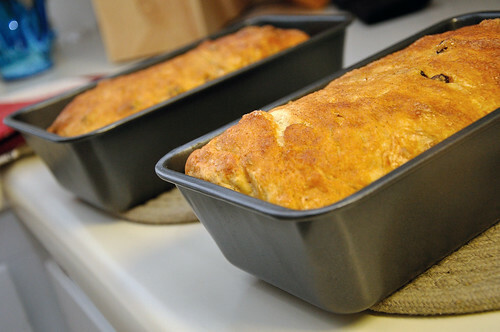 transfer the loaf, seam side down into a well greased loaf pan (I made two loaves in smaller loaf pans). Brush or spray the top with oil. Cover with nonstick spray-coated plastic wrap. One More Rise: For a 1 ½- to 2 ½ regular rise, let stand at room temperature, for a 1- to 2- hour accelerated rise, let stand in a turned-off microwave with a cup of boiling hot water. Continue the rise until the dough nears the plastic. Remove it and continue until the dough rises 1/2 inch above the pan rim. Baking: Preheat oven to 350 F. Brush the dough top with remaining beaten egg and top with cinnamon sugar. 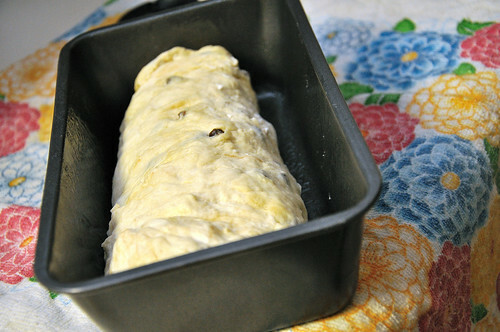 Bake on the lower rack for 25 to 30 minutes or until loaf is nicely browned. Cover with foil and continue baking for 25 to 35 minutes longer, testing occasionally with a skewer inserted in the thickest part. Once it comes out with only a few particles on the end, then bake for an additional 10 to 15 minutes to make sure the center is done. Cool in the pan on a wire rack for 10 minutes. Turn loaf onto rack and cool thoroughly. 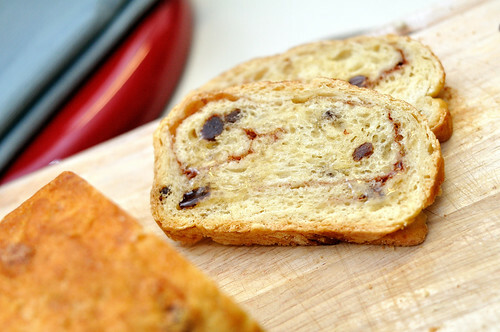 If you’re trying to lay off carbs, you shouldn’t make this bread. I made two loaves last night, one was gone by noon today. 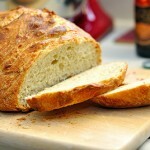 We ate an entire loaf, roughly 12 to 15 slices, in several hours time. Craziness. 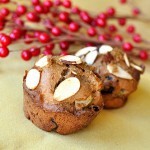 Do you feel the need to bake during bad weather? 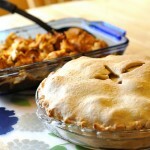 What’s your favorite thing to bake during a storm? When you finally go back, make this your first slice. It’s heaven. Best bread I’ve baked so far hands down. I admire your dedication to the detox. I want to try one someday once we’re moved and I’m not in grad school. I’m too emotionally reliant on carbs right now lol! Holy Bread Basket, Batman!! 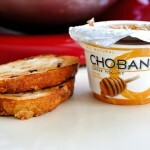 That does look marvelous…..I’m a sucker for anything with cinnamon and sugar in it! John made cranberry/orange scones, and I’m going to make fudge tomorrow…terribly decadent, but stuck here in the WhiteOut World, what else are we gonna do? I cracked up watching the Clive video, but poor felix. He just kind of looked at you like, ‘Why?” hahaha funny stuff. 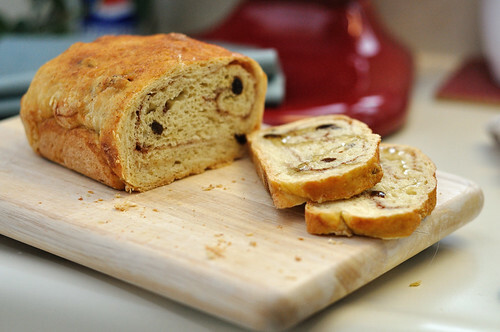 The swirly bread looks yummy. 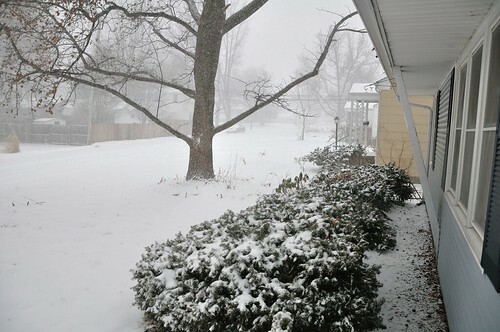 We are snowed in too, but honestly it wasn’t that bad. 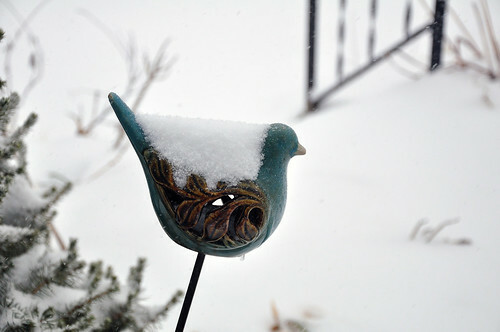 The kids were quite happy with yet another snow day though. Yeah, we’re going on our third snow day, unprecedented. When Felix was a younger man, he enjoyed the snow and would jump into drifts. Now that he’s entered his twilight years, he reacts with abject horror at anything outside the norm. Poor guy. I did run outside for a bit, snow resistance for the win! 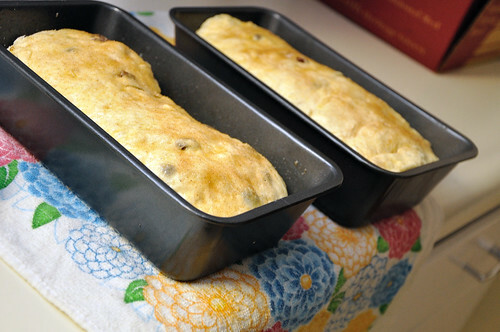 Do you stir the dough between the first and second rise or halfway through the second rise?